Our focus will remain the same: To provide upscale-casual dining focused on fresh, local ingredients paired with exceptional service in an inviting and relaxed atmosphere. The Grand Marlin Restaurant and Oyster Bar on Pensacola Beach, which celebrated its 5th anniversary in 2015, will soon be expanding further east. Investment partners in the highly successful restaurant plan to open a second location at the Lighthouse Marina on Grand Lagoon in Panama City Beach. Extensive renovations are necessary before the restaurant’s opening, targeted for summer 2016. The new location will emphasize many of the same fresh menu items as its anchor location and will seat approximately 350 people. The main floor will feature temperature-controlled dining and an oyster bar. The second floor will highlight The North Drop – an open-air bar named after a world-class marlin fishing destination off the coast of St. Thomas in the Caribbean. In addition, private dining will be available on both floors with A/V capabilities for corporate meetings and special events. The Grand Marlin Corporate Chef and Partner Gregg McCarthy, an esteemed veteran of the Atlanta dining scene, will be spearheading the cuisine at the new venture in Panama City Beach. 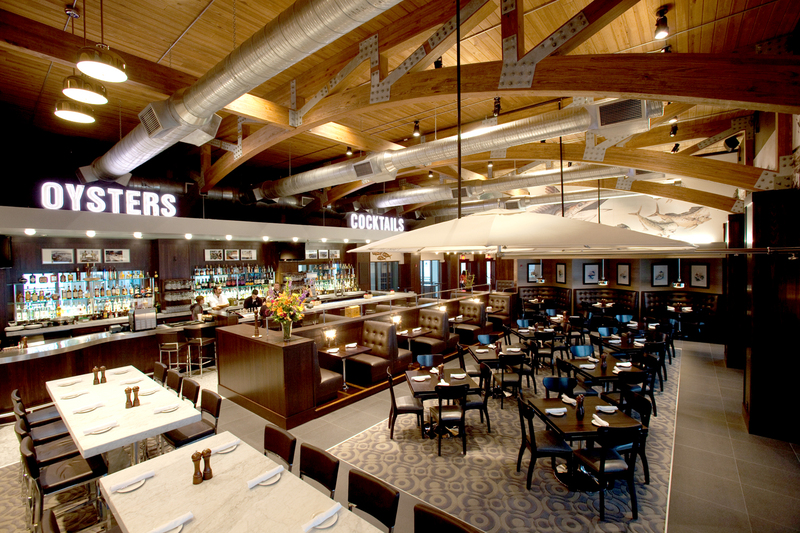 An initial $8-million investment by several business partners in 2010 produced Pensacola Beach’s premier restaurant. What began as an idea born by partner Rod Windley while marlin fishing in the Caribbean, soon blossomed into an acclaimed restaurant that has created more than 125 jobs in its five years in service, and, in turn, boosted the local economy for Pensacola Beach. Consistent quality has earned the Pensacola Beach restaurant top honors including Wine Spectator’s Award of Excellence five years in a row, TripAdvisor’s Certificate of Excellence, Open Table’s Diner’s Choice Award and local Best of The Bay awards as well. McCarthy and Housley are quick to credit their success to their team members, who provide exceptional customer service with the commitment to serving the finest quality food. The Grand Marlin features the area's best selection of seafood, highlighted by daily specials from the kitchen of award-winning Chef Gregg McCarthy. 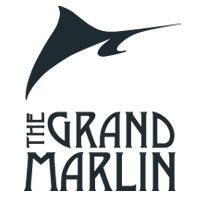 Printing their menu daily, The Grand Marlin ensures its choice of fish and shellfish will be the freshest on the Gulf Coast. 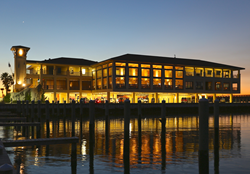 The Grand Marlin offers a tranquil, relaxed atmosphere where patrons can enjoy the most memorable dining experience on the Gulf Coast.